Feng Shui recognizes the importance of a clean bathroom and we take good care in cleaning its nook & corner to maintain good energy. Not only cleaning but disinfecting your bathroom floors, sinks, bathtubs and pots ensures a bacteria free daily cleansing experience. Toilet/WC – Clean from outside/inside, scrubbed and disinfected. Shower area – Glass door, all surfaces cleaned of soap scum, floor, chrome fixtures and Jacuzzi. Mirrors – All residue removed and shined. Floor – Vacuumed and steam mopped. General dusting – Slabs and toiletries. Windowsills, ledges and blinds dusted and vacuumed. Doors and door frames cleaning. Whether you believe in Feng Shui or believe that cleanliness is next to Godliness, we can help you preserve your belief. 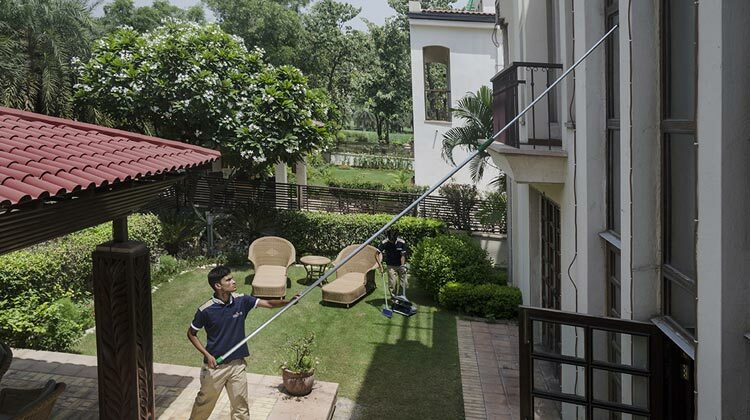 We believe that deep cleaning leads to healthy life. 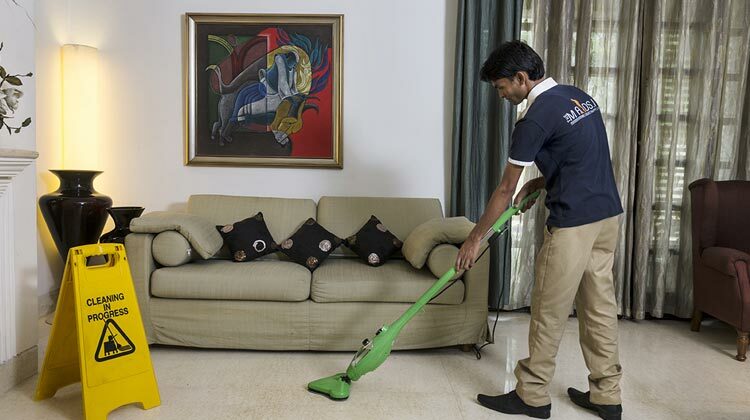 We keep every inch of your house spotlessly clean. We know that washrooms can become easily soiled, due to daily use. 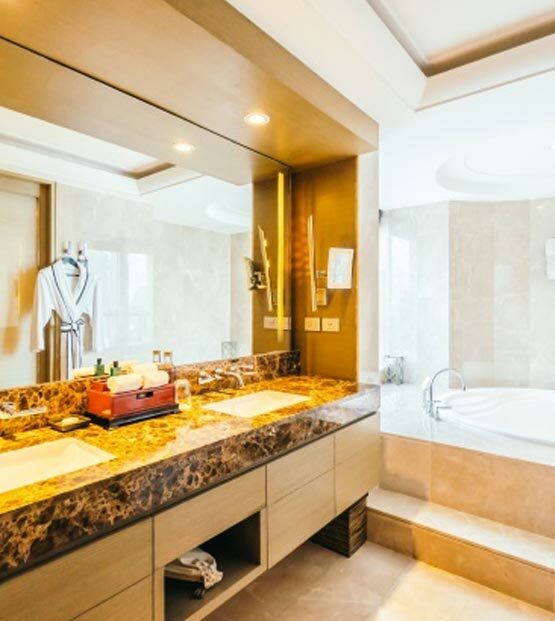 Thus, bathroom needs intense cleaning that involves deodorization and sanitization of bathing area, shower head, toilet bowl, sink, tiles and toiletries. Our washroom cleaning services ensure that every shower you take will deeply rejuvenate your senses. The bathroom tiles adjacent to the shower area becomes stained due to continuous splashing of water. The scrubbing chemicals may damage the tiles in your washroom. Our cleaning personnel use organic products and scrubbing pads that remove stains without damaging the tiles. With regular use, bathtubs tend to accumulate grime, especially in crevices that are tough to remove. Our bathroom cleaning services use disinfectants and steam to clean bathtub, efficiently. 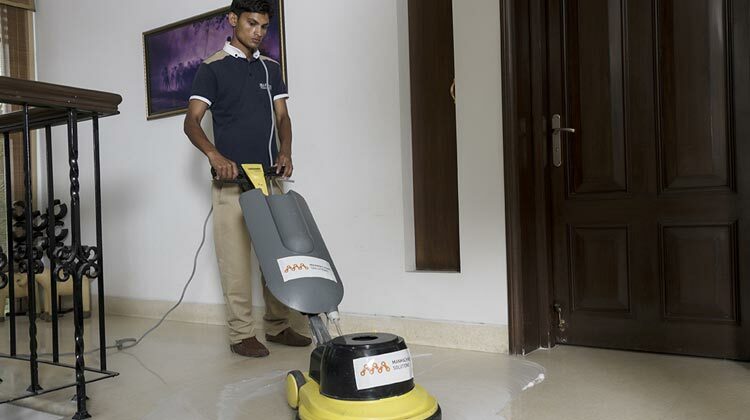 We mop the walls and floors using a steam generating machine to sanitize the washroom. No longer will your bathroom be the breeding grounds for microbes. Our cleaning experts are attentive to details. They clean and remove water-spots from the chrome fixtures, faucets and the mirrors. It is a tough job; however, our trained personnel can execute this task within minutes. We are equally attentive to the areas that are hard to reach. The light fixtures or exhaust fans do not go unnoticed. We guarantee health and happiness of our clients through our custom cleaning packages. To know more CALL NOW!! !